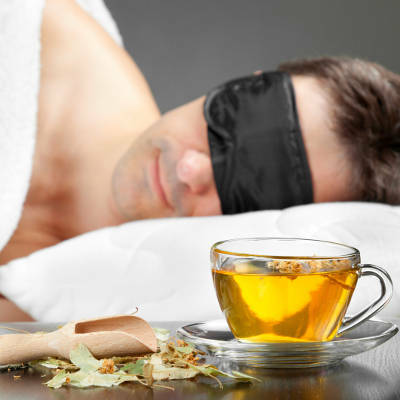 Any of the herbs mentioned previously can work for occasional insomnia; however, this kind of insomnia is often due to excitement or anxiety toward a specific event (think back to being six years old on Christmas Eve…yup, that kind of sleeplessness). For these occasional bouts, I recommend meditation and journaling. Get those chasing and circling thoughts out of your head and you’ll sleep better. All three of these herbs target anxiety and over-excitement. Try a cup of tea with these herbs (one or all three), steeped for 15 minutes. Add honey or stevia for sweetness, but avoid dairy (dairy can keep you awake). Add non-dairy milk (sugar free) if you prefer your tea light. For over-excitement, try 20 minutes of hard-core exercise two hours or so before bed. You’ll be too tired to think (hopefully). A warm (not hot!) bath 90 minutes before bed, especially one laced with lavender essential oil, is wonderful for calming the mind and body. The experience of warmth, followed by the cooling down of the skin after the bath, helps the mind and body prepare for sleep. A final note: if you take sleeping pills regularly, you may find that herbs will not work for you right away. Your body has developed a dependence on the chemical components of the sleeping pills and there will be a period of withdrawal. Try to reduce your use of sleeping pills gradually, and then have patience. You may experience a period of time where nothing works. Keep trying. Your body will heal and you will sleep. Amy Jirsa is a writer, wanderer, 500 RYT yoga instructor, Ashtangi, and master herbalist. She makes her home at quietearthyoga.com and regularly counsels clients from around the country on matters of health, wellness, and herbal support.